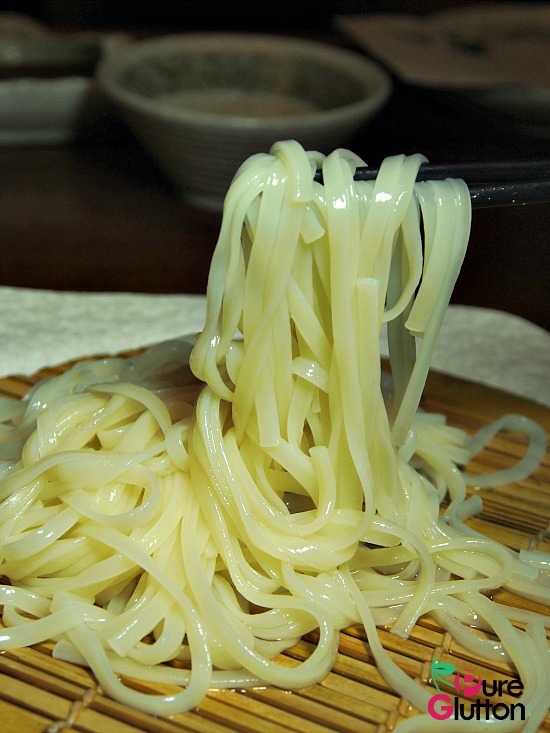 There are many dining options in Old Klang Road – predominantly from Chinese tai-chow places to steamboat restaurants and a scattering of Japanese food outlets. 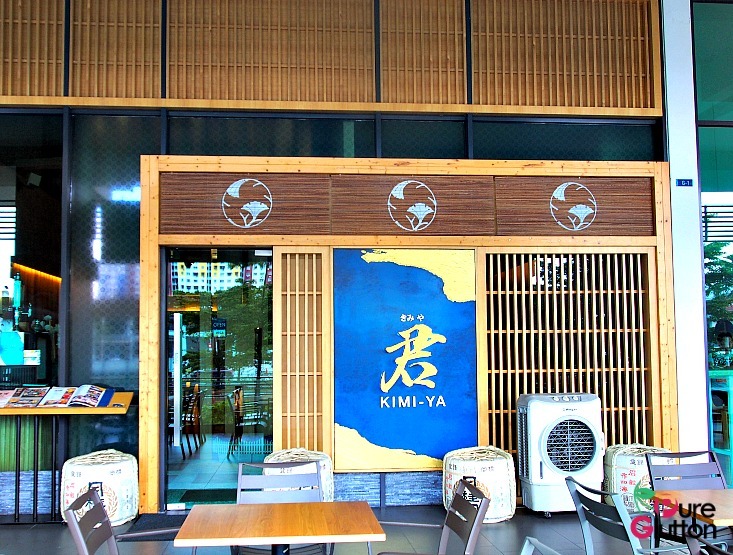 One particular Japanese restaurant which stands out is Kimi-Ya which has been making quite a name for itself. Translated as “Your Home”, Kimi-Ya is located on the ground floor of Avantas Residences. Its simple interior deco has a cosy and homely ambience. 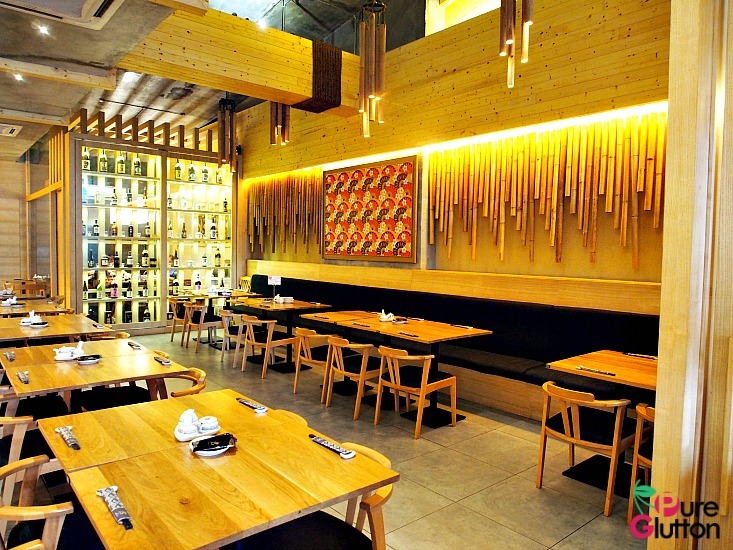 Seating is functional, nothing too fancy and what stands out is the food. 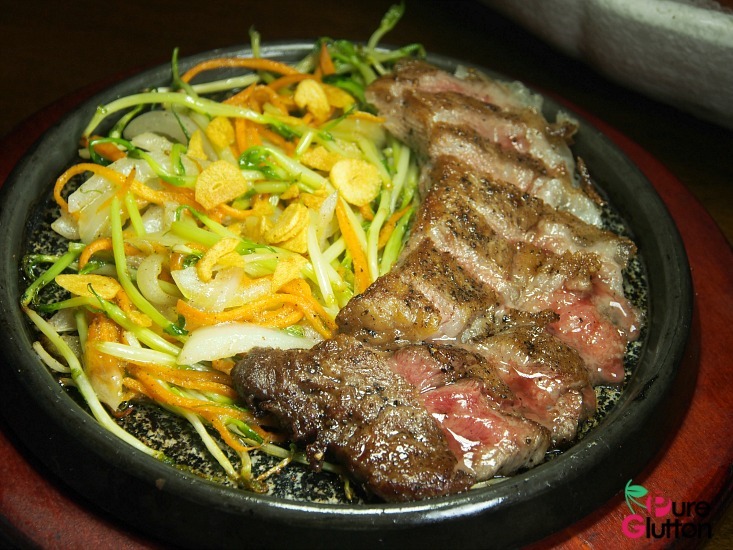 Let’s start with Kimi-Ya’s monthly specials. 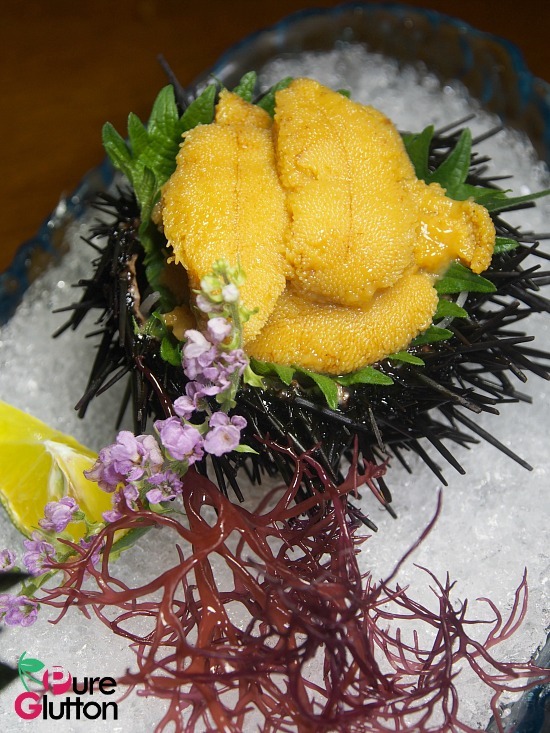 If you hurry, you may still be able to catch their June-July promotion of Hokkaido Uni. 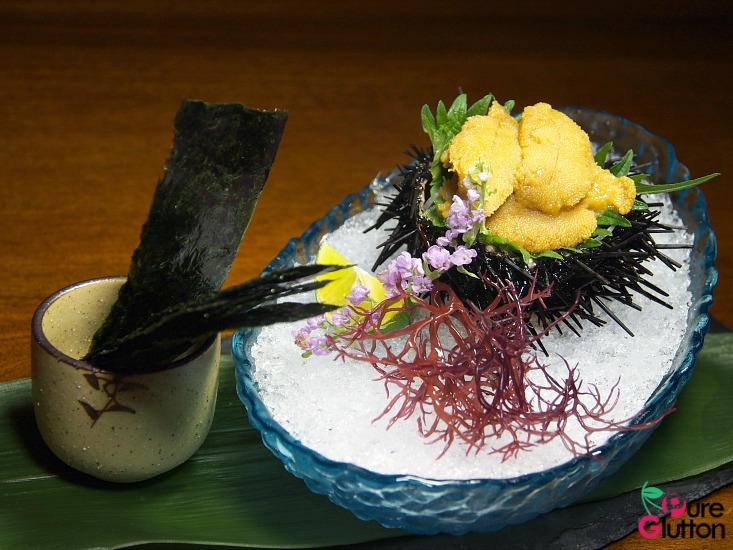 Freshly air-flown from Japan, the sea urchin is unbeatable at RM38 a portion. 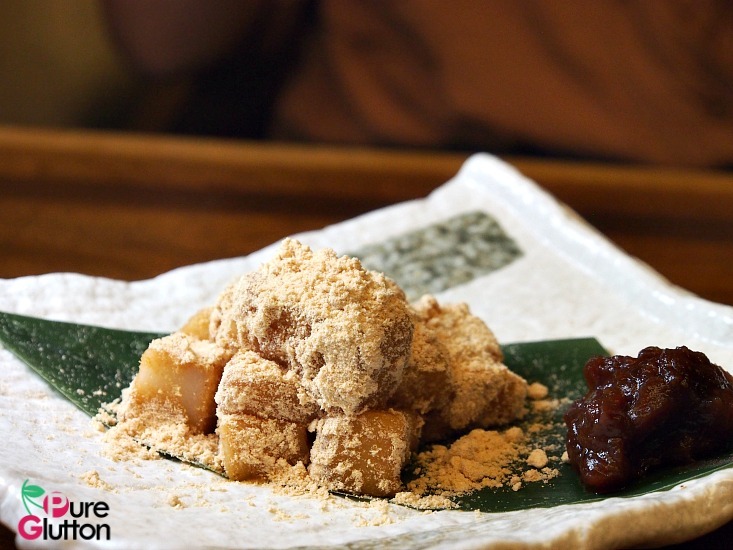 Uni fans, make your way there now for this sweet indulgence! The menu at Kimi-Ya is really extensive and we could only zoom in to our favourites. 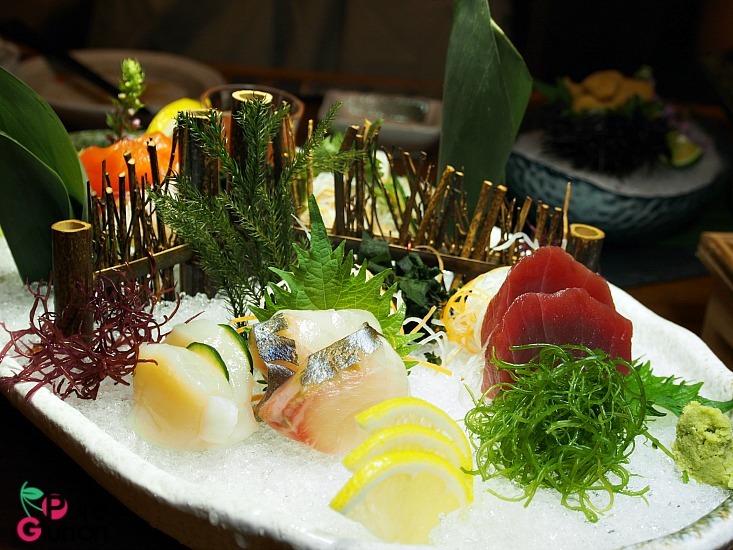 Of course, sashimi is a must for us in a Japanese meal. 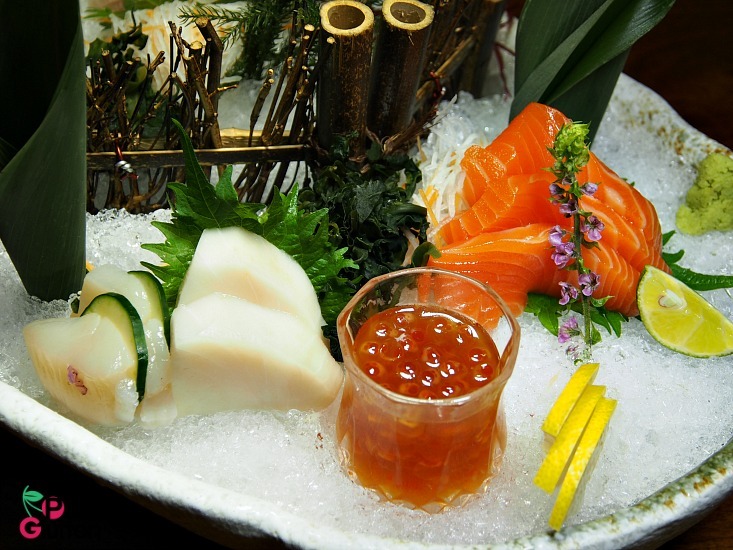 Kimi-Ya’s sashimi range includes amberjack, scallops, tuna, salmon, white tuna and don’t forget to have some really good salmon roe as well! 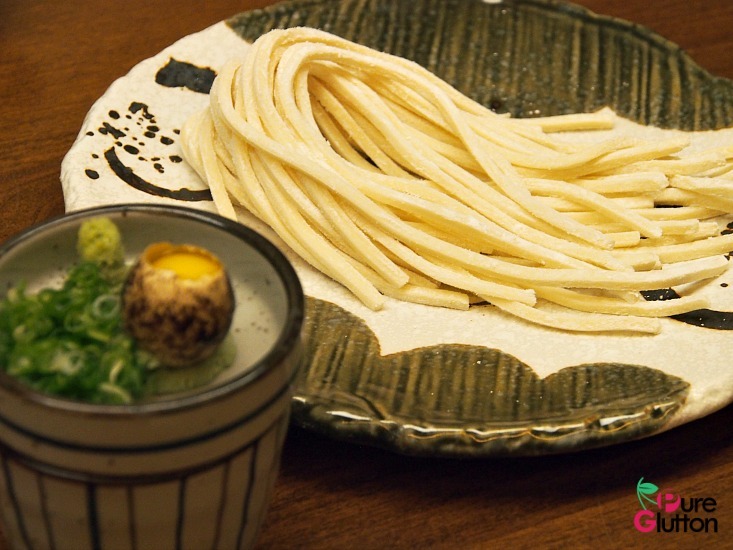 A must-eat item in Kimi-Ya is their Zaru Inaniwa Udon – cold thin wheat noodles served with a dipping sauce smoothened with a raw quail’s egg. and spiced up with some wasabi. 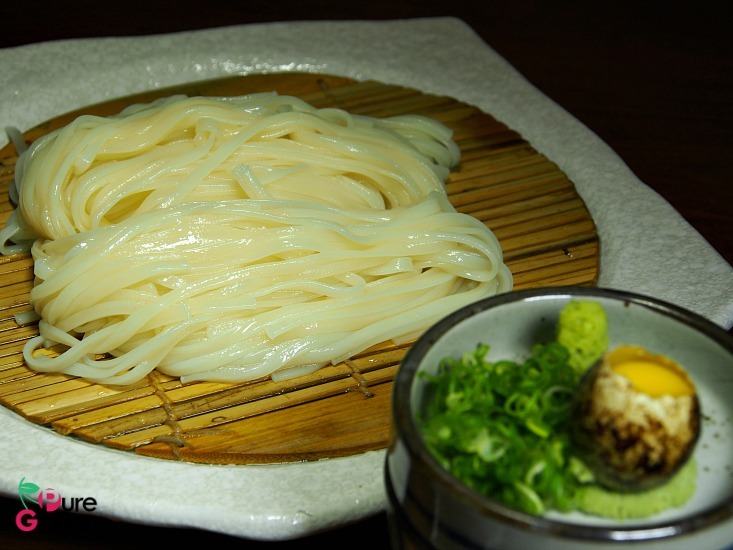 This udon is quite unlike the regular udon served in other restaurants. It’s thinner and smoother with a nice bite in its texture. You really have to taste it yourself to know the difference. 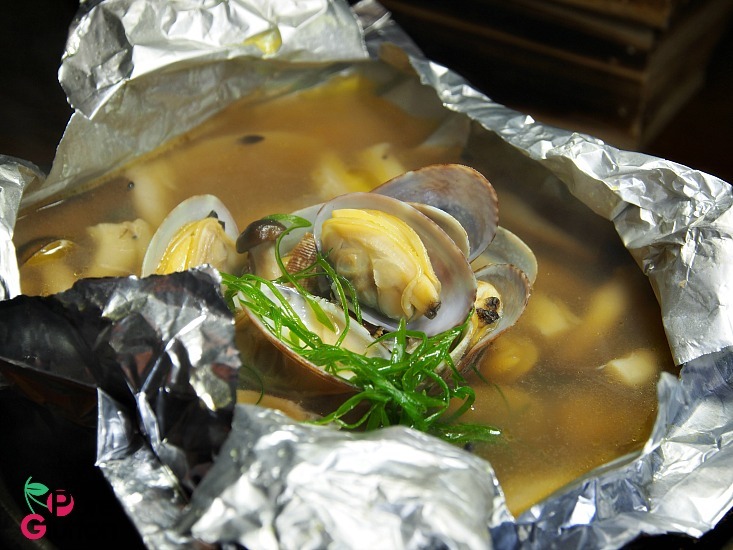 If you are a fan of clams in soup, check out Kimi-Ya’s Asari Hoiru Butter Yaki. 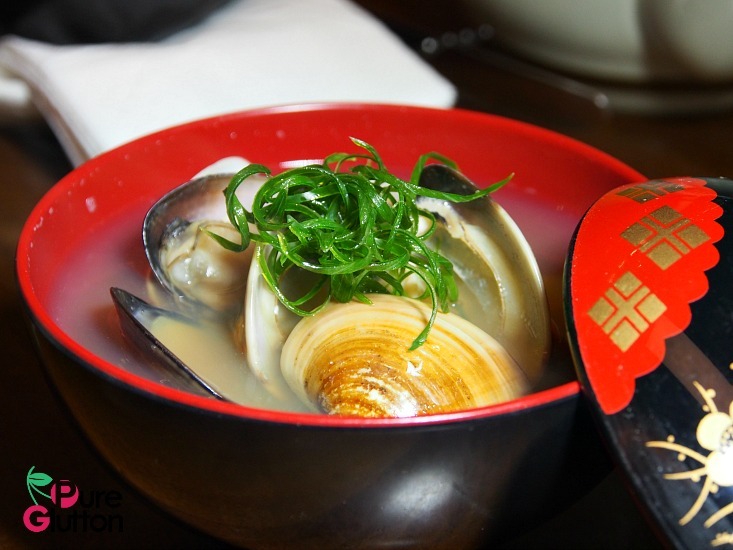 The fresh succulent clams are cooked in dashi soup with himeji mushrooms and enhanced with some unsalted butter – heavenly! 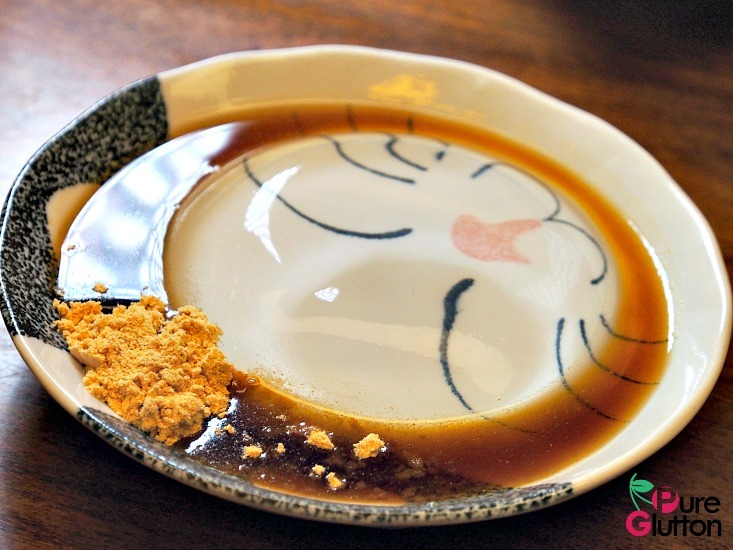 There’s also the Hamaguri Sake Mushi – giant clams soup with sake and bonito. The sake gives this soup a little kick and for maximum satisfaction, make sure you have it piping hot! Although we try not to have too much carbs, especially rice in our meals, Kimi-Ya’s Gyu Garlic Rice Ishiyaki and Unagi Bara Chirashi Don are quite irresistible. 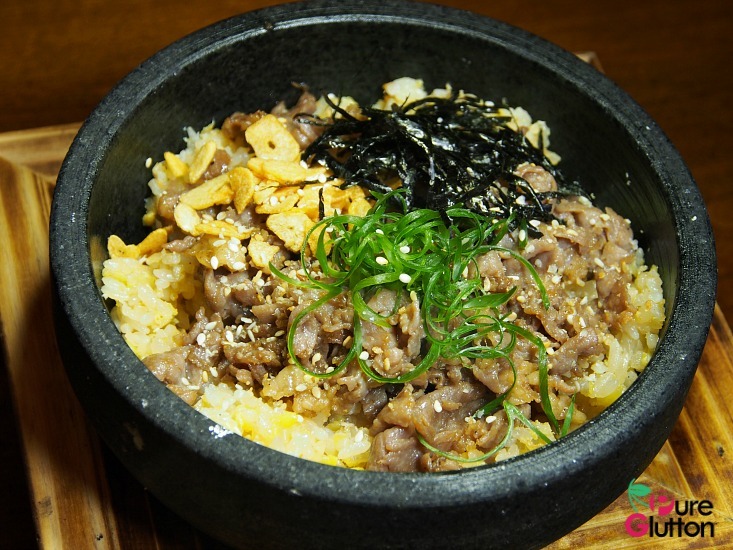 The former is garlic fried rice served in a stone pot, thus retaining the heat beautifully and every spoonful of the well-flavoured rice with thin slices of tender beef is immensely satisfying! We had some really superb bara chirashi don during our recent visit to Okayama. 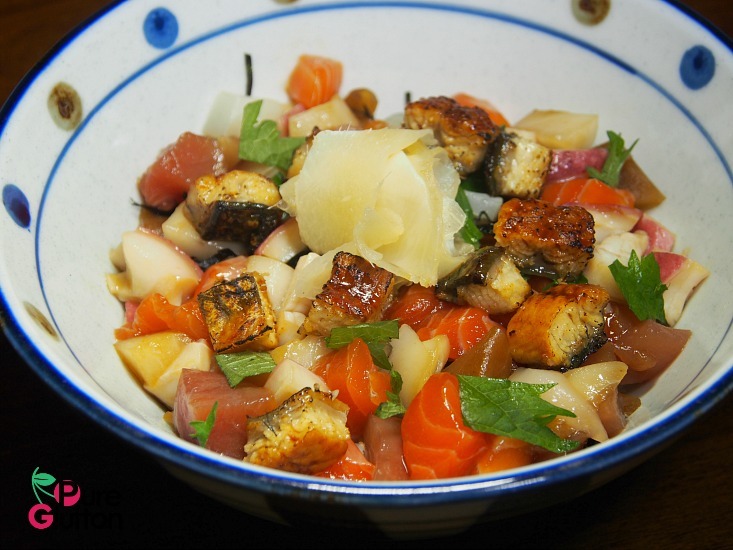 The Unagi Bara Chirashi Don here has assorted cubed sashimi like tuna, salmon, white tuna and eel and what it needs is a good binding sauce to make it memorable. 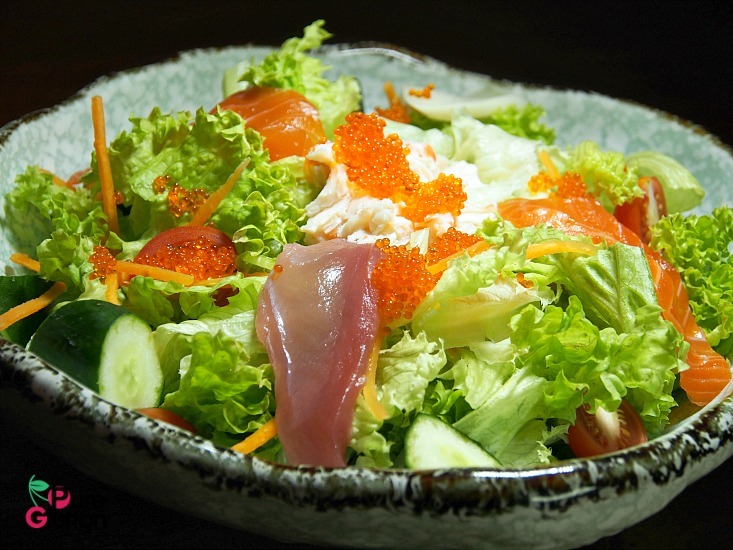 Salads – don’t miss the salads here. 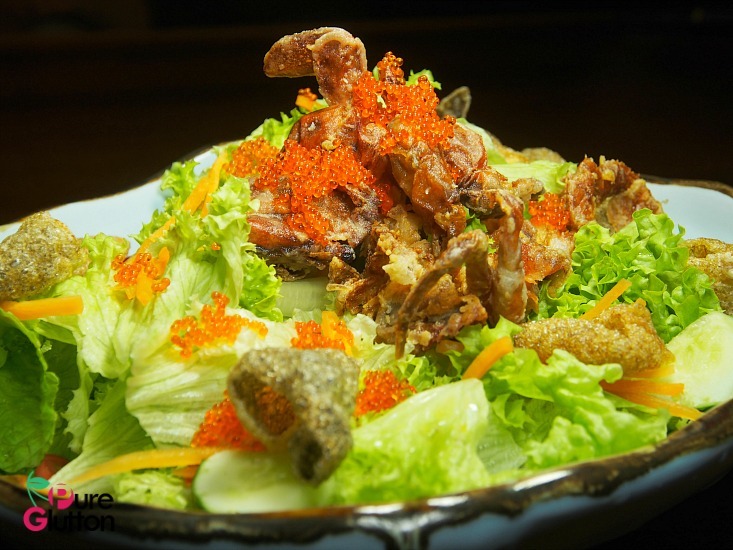 Our favourites are the Soft-shell Crab Salad and Kaisen Salad with assorted sashimi. 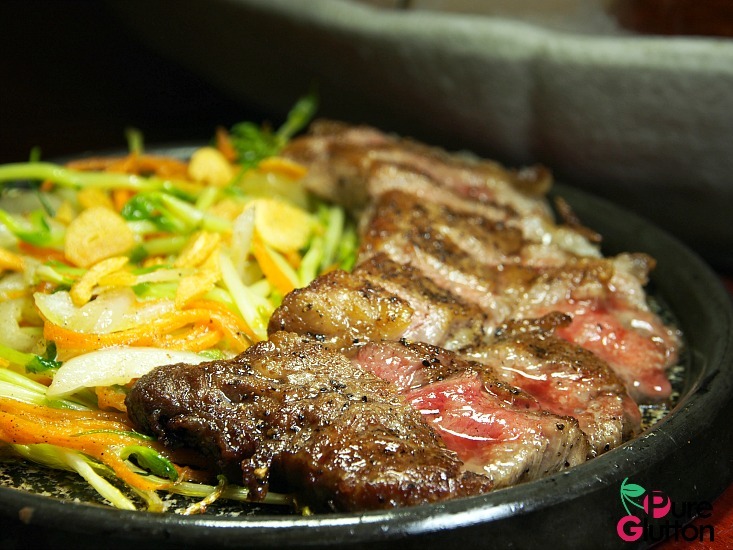 They are perfect to get the meal going! To round off the meal, we had a selection of sweets … green tea ice-cream with red bean paste, glutinous rice balls, house-made mochi and my favourite raindrop jelly. 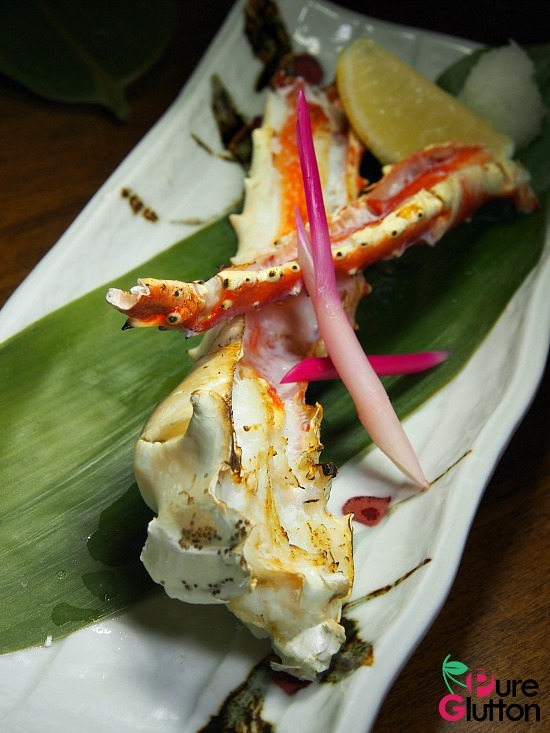 Kimi-Ya’s delectable offering of honest good-quality Japanese dishes is wallet-friendly. Chefs here make the effort to serve a diverse range of dishes using fresh ingredients and many of them are curated with flair and creativity.